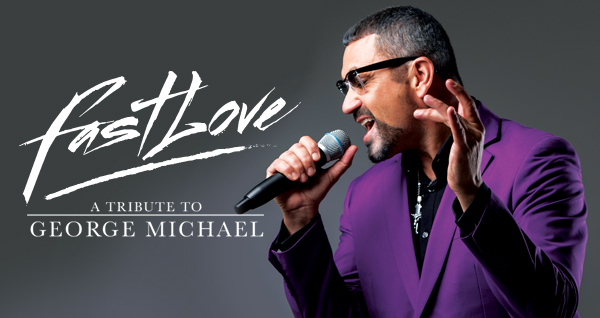 Get ready for an unforgettable evening with a global superstar, as he puts the Boom Boom into your heart in the all new production, Fastlove – A Tribute to George Michael. The show is packed with crowd pleasing anthems. From the Wham classics of the new pop revival to the chart-topping success of the eighties album Faith. Plus the awesome tunes of the nineties and noughties, including the irresistible Flawless. This is a spellbinding experience you don’t want to miss. You’ll be getting up (to get down) to all your favourite songs: Careless Whisper, Freedom, Faith, Father Figure, One More Try, Outside, Jesus To A Child, Kissing A Fool, and many more. Relive the passion, the flare, and the unique sensitivity of George Michael in this incredible concert sensation.